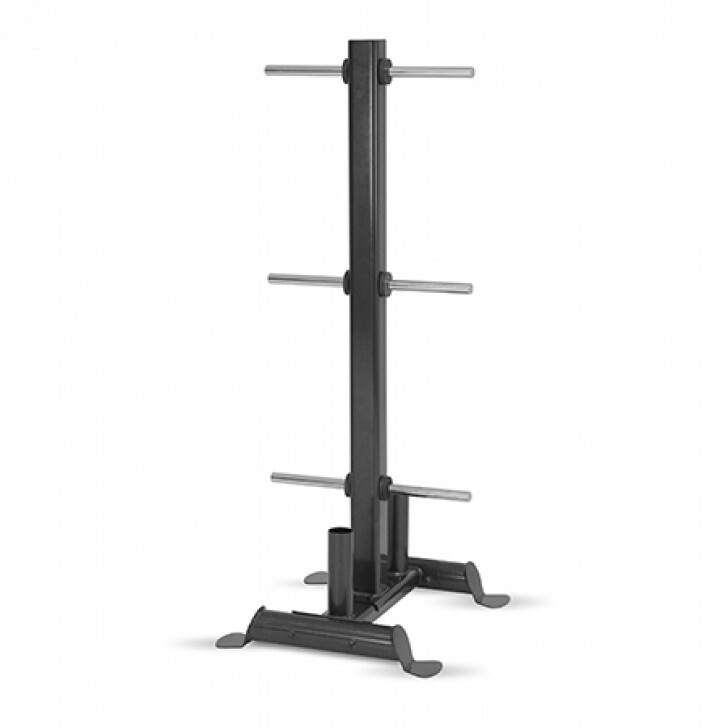 Designed to hold Olympic or Bumper plates, plus two full sized Olympic bars. Max storage weight: 700lbs. 1" solid chromed weight horns improve loading and unloading of plates. Dimensions	 W21" x L25" x H55"